Have a wheely great Halloween! 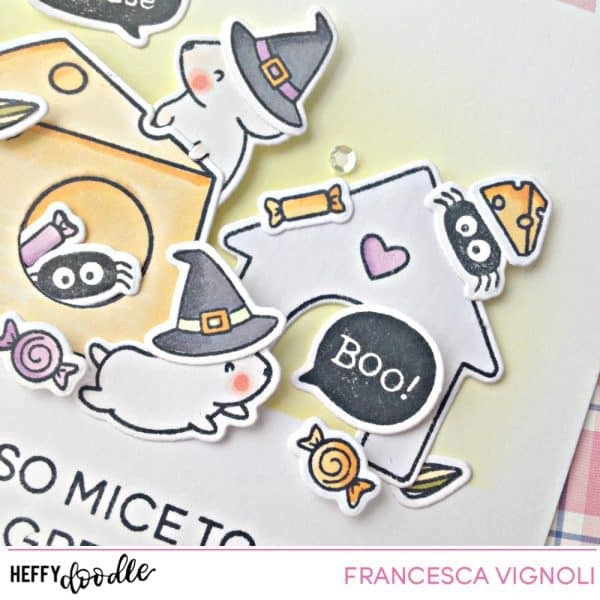 Franci here with you today with an Halloween themed card feat the Hello Squeakheart set. Omg i’m soo excited about this card!! You may already know that these cute mice are my favorite and all dress up for Halloween are so super cute, aren’t they?! First of all i created my card base out of white cardstock then i masked the bottom and lightly inked it up with the Twisted Citron Distress Ink Oxide. I stamped all the images ( and btw the Halloween ones are from a Hello Bluebird set), i colored them with my copics and die cut them with their coordinated dies. I created my scene and when i was happy with the placement of all the images and glued them down with liwuid adhesive and foam tape. I stamped my sentiments at the bottom with the same black ink used before and i added some sparkling clear sequins to finish my card. I know Halloween is pretty much an Us celebration but i love creating Halloween cards with lots of candies, witch hats and spooky critters that are really too cute to spook! ihih! 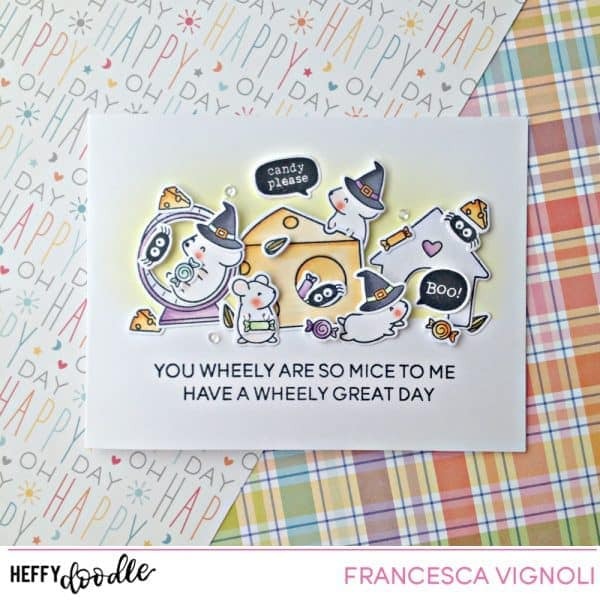 I would have so much fun making cards and tags with this stamp set. OMG!